Having high quality beer bottle caps is a very important step in finishing your perfectly home brewed beer batch. We all know that we have to seal our bottles to prevent oxidation and loss of taste and flavor. Many people use the Grolsch style bottles but if you like to stand out in a crowed you can use your own bottle caps. 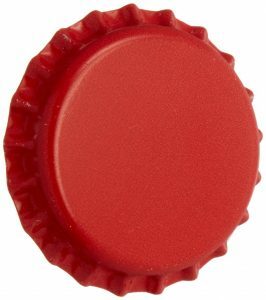 They are available in many colors and designs and we have added here what we think are 3 of the best beer bottle caps. They are the plain silver colored ones and do not need much introduction. 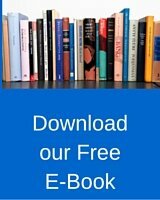 Click on the image to read all customer reviews. Most people are pretty happy with the overall quality and could not find any rating lower than 3 stars. The lower 3 star ratings mention that they rust after getting wet but in the manual it mentions not to store wet and use them right away after sterilizing them. Some mentioned a damaged packaging material. the 4 and 5 stars mention only that they like them and would order again. No one mentioned broken bottles or damaged caps. Midwest brewing does not need any introduction to the home brewing community. 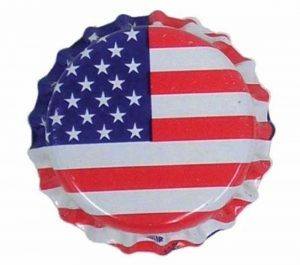 This is a 144 count USA flag printed on the beer bottle cap. Although the average rating is 4.8 stars I also found a few negative reviews about rusting fast when soaked, but in the higher ratings I did not find anyone mentioning anything about that. Although the “lonely Mountain” company is more into wine making supplies they also have a small amount of beer products. This does not mean they are of a lesser quality. These bottle caps are available in about 14 colors and a sample pack that contains all colors and a few more printed pictures a total of 32 caps. Some of the few lower ratings mention that they did not receive the full amount of caps and they were damaged. All others just mentioned they worked well and no problems. One used the different colors to “mark” his different brews. Each order contains 144 caps except the sample pack that contains one of each color and a few other prints including the US flag. Some home brewers do not like the Grolsch style beer bottles and prefer to cap their own bottles. Besides the bottle caps we recommended here you also need another tool. We looked at what we think are the best bottle capping tools for you. the variety of caps and cappers available makes it easy to do this and if you practice a little it is not hard to do at all. Best is to buy the caps from a reputable company although I do not say that other companies are bad. Do a little research and read to a few of the customer reviews we linked to in this post. 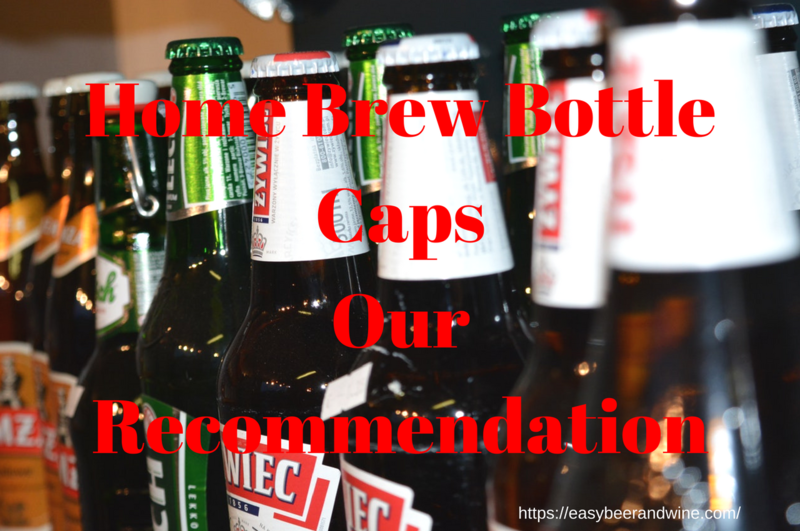 I hope our home brew beer bottle cap review helped you in finding the right cap for your type of home brewed beer. We have more beer accessories that we reviewed for your convenience.